As pissed off as folks in and around the brewing community are, everyone needs to understand that this is mostly a matter of negligence and stupidity on the part of the city. Yeah, there's a hefty bit of greed mixed in, but this is mostly about stupidity and negligence. Let your mind wander back to 2010, when the city of Portland bumbled into acquiring the White Stag sign in Old Town. Had it not acquired the sign and agreed to pay for annual maintenance and such, the old sign would have apparently wound up at the dump. Once the city gained ownership, it took a rather sloppy approach to protecting what it had. Instead of registering the sign and the stag with the U.S. Patent and Trademark Office, the city obtained rights to use the image on a variety of products, including clothing and footwear, but not beer products, from the state. That was in 2011. 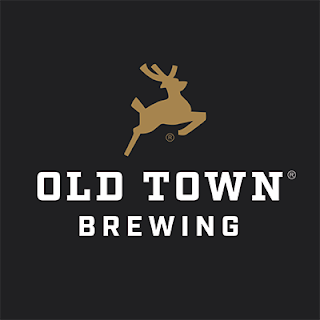 A year later, in 2012, Old Town Brewing registered the stag image with the U.S. Patent Office, securing the sole right to use the logo on beer-related products. That mark became "incontestable" recently, having been active for five years. Keep in mind that a U.S. trademark carries significantly more weight than state protection. The city eventually did get around to registering the stag image with the U.S. Patent Office in 2015, allowing use on clothing, tote bags, cycling jerseys, etc.. However, it failed to obtain a trademark that would allow it to use the stag on beer products, or to license the image to beer companies. Perhaps recognizing its negligence, the city made three attempts (2015, 2016, 2017) to acquire a federal trademark that would allow it to use or license the image for beer. The Patent Office refused the city's application each time. Actually, the city's request was initially approved in 2016, then revoked after Old Town filed a letter of protest. Today, city officials whine that the stag is part of the city's identity. "It's our Space Needle, our Golden Gate Bridge, an iconic representation of Portland," so they say. They argue the city owns the sign and, as such, must have the right to use or license it any way it wishes. Strange, though. If the stag and the sign were such an important part of Portlandia culture, you wonder why the city wasn't more proactive in 2010 or 2011. That's when it could have filed for and surely secured a federal trademark allowing it to use the stag as it pleased. Bunch of bunglers. Having failed to make a broad trademark application in a timely fashion, the city is now attempting to bully Old Town into surrendering its trademark by forcing it to spend thousands of dollars on attorney fees and related legal expenses. Make no mistake. This is all about squeezing a local business that has limited resources. Were this Nike or Intel, the city would be treading lightly, knowing full well those companies have fleets of attorneys and ample budgets to defend trademark infringement. Not so with Old Town. You may wonder why the city would do such a thing. Old Town is, after all, a local business in good standing. Officially, the city wishes Old Town well...all the while sneaking around in the background and plotting to undermine it. The answer is that the city plans to license the stag image to our old friends Anheuser-Busch for a king's ransom. It hardly matters who they have to run over in the process. City officials want the money and know AB will pay plenty for the right to connect its shoddy products to Portland. You almost feel bad for the stooges at city hall. Almost. Had they not been negligent in protecting the iconic stag, their greed wouldn't be out in the open. The city would have a federal trademark and be free to do as it pleases. But officials blundered and the mistake is now obvious. Maybe city officials should get a grip on reality. They blew it. Time to move on.